I can only guess at this, but I have a feeling that Benjamin Adams was one of those you'd turn to for help. You know the type, they are always ready to listen, to help and encourage. They are also the last ones to ask for help for themselves. The mission of the nonprofit 22Kill is hitting close to home. "There are 22 veterans that kill themselves every day. We are here to stop that," board member Cory Ryan said. Now an ArkLaTex native and advocate of the group can be counted among those statistics. The organization was started two years ago with the goal of helping military veterans fight PTSD. Patriot Motorcycle Groups led the funeral procession of Sgt. 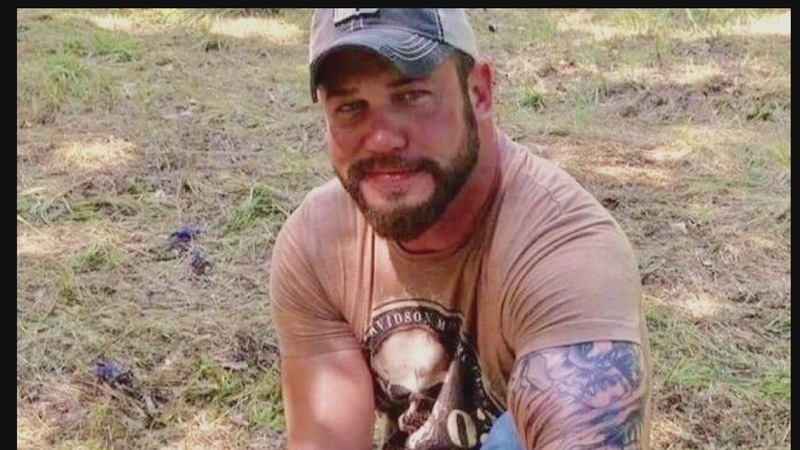 Benjamin Michael Adams through three states to lay the Army veteran to rest in Caddo Parish. The graduate of Southwood High School in Shreveport was injured in 2005 while serving in Iraq. After his release from the military, he suffered from Post Traumatic Stress Disorder. Adams then became an advocate for 22Kill. But last week he lost his battle with PTSD. Now his friends are working to keep his memory and the fight alive. How many more stories like this will it take for this country to finally figure out that talking about veterans committing suicide is not the same as raising awareness that they can heal? It isn't the same as telling them what PTSD is, why they have it or showing them how they can change their lives from grieving to thriving. For the last three decades I've seen way too much evidence of miracles happening and lives changing. For the last decade, I've seen way too much talking about the worst outcome followed by more lives lost in the process. We actually had better results back in the 90's when there were more veterans in the country but no social media or media coverage at all, no cell phones or computers in every house. It was done side by side, sharing our heartbreaks as well as our blessings and in that, veterans found hope they could do the same and learn how to feel the smile they showed the rest of the world. My heart breaks for the group Adams was apparently dedicated to and for his family. Far too many like him carry the burden of everyone else yet find it impossible to share their own. That is hardest thing to get through to them. If you know someone like that, then please remind them that in combat, they had no problem asking for as much reinforcement as they could get. They knew it meant lives would be saved. It meant they thought about saving other lives and this time, they need to think of saving their own, so they can save more by being an example of what is possible just by staying alive and healing.